This camera is dubbed as the smallest SLR. It is ideal for beginners because of its mode dial for quickly selecting exposure mode and its creative mode. 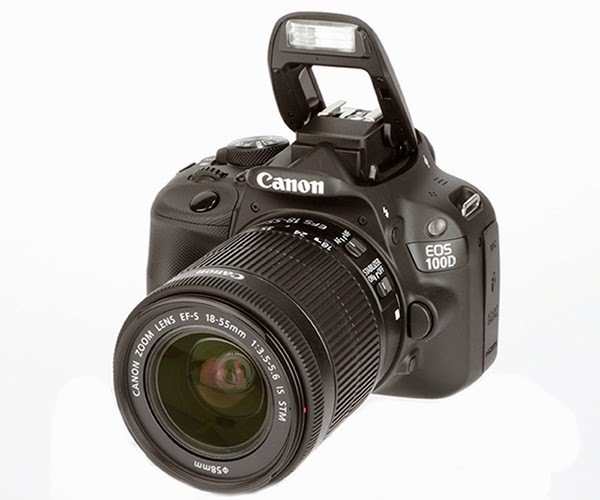 You can navigate the different features of the Canon EOS 100D either through its physical controls or through its screen (thanks to touchscreen technology). 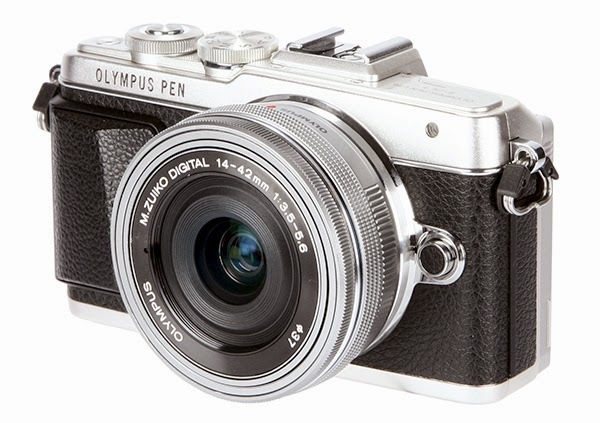 The Olympus Pen E-PL7 is a proof that stylish cameras are more than just the looks. It has impressive filters both for beginners and advanced users. It comes with a 16MP sensor, 3-inch LCD that can be flipped, and a built-in flash. It also makes use of the touchscreen technology so you can change different modes simply by tapping the screen. 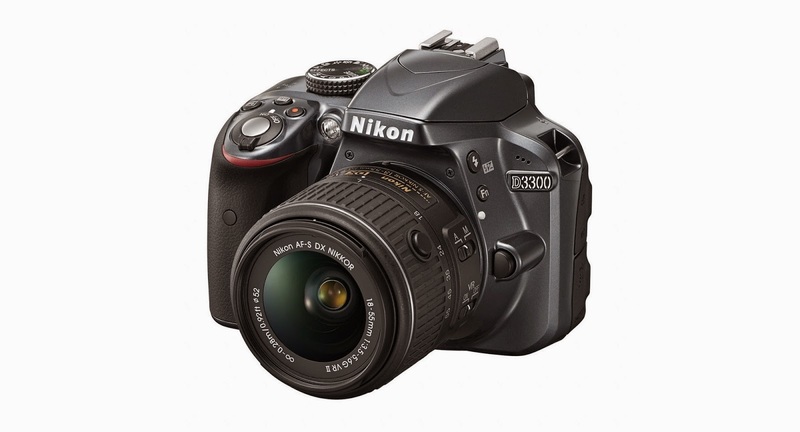 If you consider yourself a total newbie in photography then Nikon D3300 suits you well. It has a Guide Mode that will take you through the step-by-step process for setting different shooting modes for shooting different types of subjects. Plus, with its EXPEED 4 processing engine, you're sure to get high quality and detailed images. Hobbyists who are fond of shooting subjects at awkward angles can make the most of this camera. 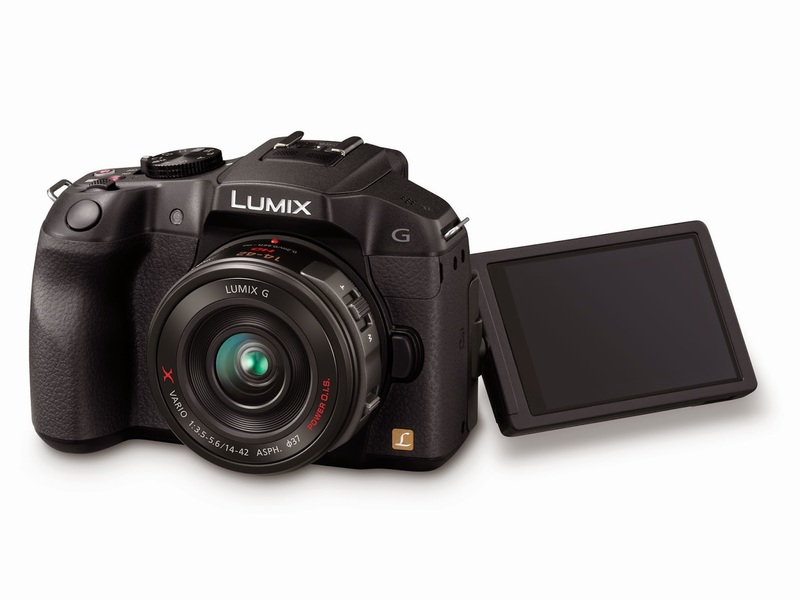 This 16-megapixel camera comes with a vari-angle LCD and WiFi connectivity for easy sharing and uploading of images. 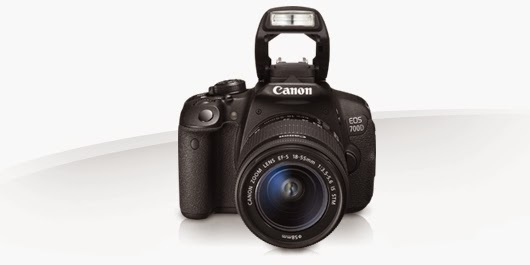 Canon EOS 700D comes with an APS-C sized CMOS sensor. This feature is a great help in shooting images and videos. Don't underestimate this camera as it is capable of producing high quality and detailed images. It’s no doubt that photography is one of the most lucrative businesses these days. With the growing number of photography enthusiasts jumping into entrepreneurship, it’s the competition that will be your toughest opponent. However, there are several ways to stand out. The camera has come a long way. What used to be a bulky and complicated piece of technology has now morphed into several varieties. One of the best things brought about by this revolution is the list of names in camera history that you can use for naming your photography business. You may consider names such as Lumen, Camera obscura, or Perspectiva. If writers deal with words then photographers usually deal with colors. So, why not use them for your business’ advantage? When using colors for naming your business, skip the usual hues of black and gray; experiment instead of other colors. You may try using silver, sepia, aqua, fuchsia, or be more creative by combining two colors in naming your business. Have you observed how words become more interesting when put together? That’s what adjectives do to usual nouns such as lens and camera. Add uniqueness to your business’ name and increase your chances of getting known by using adjectives to name your business. Just a piece of advice though, avoid too wordy adjectives. Naming a business is no joke. Some people have to spend the entire weekend just to come up with a name that suits their business. There are even companies out there who hire professional writers to help them come up with a good-sounding name. If you find yourself in the situation but can’t afford to hire someone, then why not make something up? Yes, that’s right. It means being original and coming up with new words for your business name. 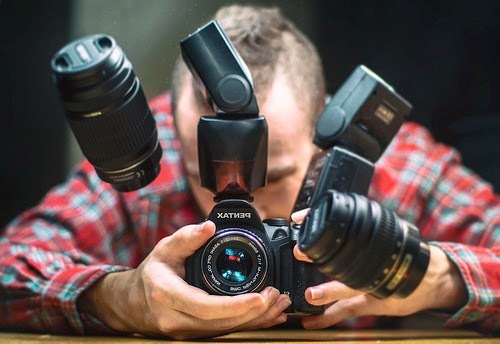 Browse as many photography businesses as you can and you will realize that among the common strategies used by entrepreneurs coming up with names of photography businesses is by using their own name. If you run out of ideas but still wanted the personal approach in naming a business, then you may use this trick. Names of photography businesses may not be the key towards the success or failure in one’s photography business but coming up with a good one helps in marketing. It’s not a surefire way of succeeding in the photography business but it boosts the chances of getting known. So, spend time thinking of a good photography business name. It may be tedious but it’s worth it. When I was just starting out in photography, I didn't have a mentor to provide me with the necessary guidance. So everything was a result of trial and error. While we can learn from our own mistakes, we can cut on the cost and time wasted by learning from the mistakes of others. In the age of digital photography, it is no longer considered expensive when you decide to take as many photos as you want. 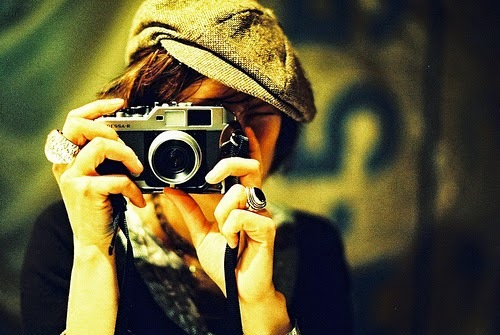 But many beginner photographers chose to take limited photos and not experimenting enough with different angles. One important thing to remember in photography is that lighting can make or break your image. Do it under poor lighting and you'll get crappy photos. When you're shooting RAW, it's most likely that you'll be using software such as Photoshop to enhance the photos. But you shouldn't go overboard. Excessive post-processing can lead to unrealistic and saturated images. It's totally okay to buy high quality cameras but it becomes a mistake when you prioritize it over skill-building. 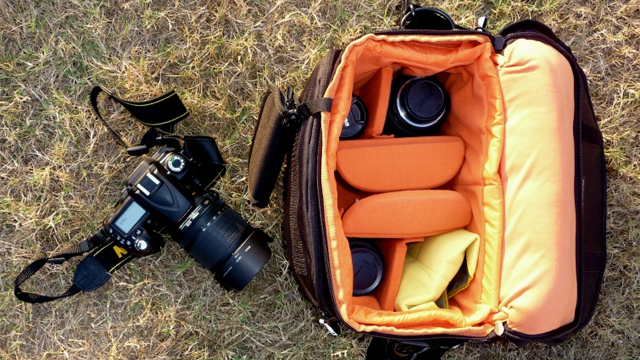 So, if you have a entry-level camera, stick with it while you hone your photographic skill. You can learn on your own but it will be easier if you get yourself a mentor. If you have a friend or anyone from family whom you think can teach you to become a better photographer, then approach them and ask them to mentor you. Have you committed any of these mistakes? Learn to read the label. If it states that it contains a single ingredient, then the food must have 95% of that ingredient. For instance, if it claims to be made from beef, then it must be at least 95% beef and not of any other ingredient. Cats are carnivores. Their diet should be mainly comprised of meat. So aside from the ingredient proportion, make it a habit to check on the protein source. This could be chicken, beef, or fish. The choice of choosing between canned and dry food is controversial. Some cat experts claimed that canned food works better for cats. There are also those who claimed that cats will do good on either canned or dry food. But generally, canned food contain more moisture than dry ones. This make canned goods a more suitable option for cats who rarely drink water or those that are dehydrated. However, if your cat has no problem with hydration, it can do well even with dry food. 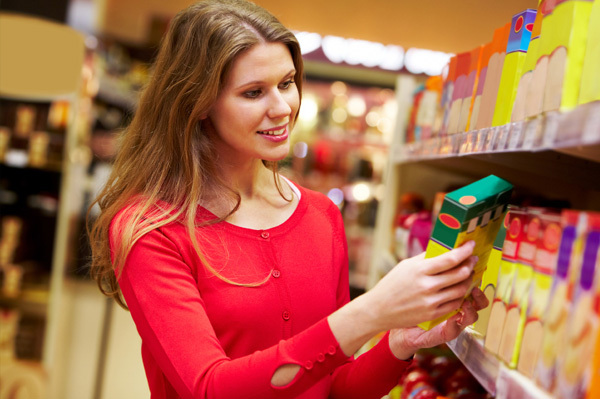 The nutritional adequacy statement in the food's label will usually indicate for which this food is good for. The food can be labeled as complete and balanced for all life stages while it may also specify a certain life stage like adulthood or for growing kittens. So make sure you read the label carefully to match the food to your cat's current life stage. Each time you visit your cat's vet, ask him/her to do a body condition analysis of your pet. And ask him/her of his/her feeding recommendation for your cat. Cats who are undernourished have different nutritional needs to those who are overweight. Losing weight is not easy. I know because I used to be overweight. It takes some time for me to shed the excess pounds. Without the motivation and encouragement from family and friends, I'd probably still be overweight by now. I'd like to give back by sharing these tips that helped me lose weight. But I must warn you that weight loss doesn't happen overnight. It took me almost a year to achieve a healthy weight. So if you don't feel any progress for weeks, just keep going. Your effort will soon pay off. One of the reasons why people are having a hard time in losing weight is because they have this habit of skipping meals, thinking that they could eventually lose excess pounds with this strategy. If you’re one of those with this kind of mindset then listen up. Skipping meals especially breakfast won’t help. It would only contribute to weight gain as you tend to eat more and crave for unhealthy food. If you want to lose weight, you must make sure that you do not skip the most important meal of the day – your breakfast. Studies reveal that people who tend to skip their breakfast are most likely to reach out to unhealthy, sugar-laden food all throughout the day. So start your day right with a healthy meal. What happened to people when they go hungry is that they tend to eat whatever food they could grab. And because unhealthy foods are the most accessible, these are usually what they consume. Learn to break this habit by bringing along a bag of healthy snacks wherever you go – be it in your workplace or even when meeting your friends. Pack a bag of healthy nuts like almonds, some pretzels, and a medium-sized apple. Do it and you’ll find yourself in lesser chances of craving for fat-laden foods. Physical activity is undoubtedly one of the important aspects of losing weight. You don’t necessarily have to sign up for gym membership. There are many ways on how you could keep moving. You may take the stairs instead the elevator, park your car a little way further from the place you used to, or doing your favorite sport. The important thing here is you move. For best results, make sure you spend at least 30 minutes of physical activity each day. These include processed carbohydrates, sugar, and salt. High intake of these products are among the major reasons why people are overweight and now suffering from lifestyle diseases including heart attack. While you totally cannot eliminate them but at least, make a conscious effort in keeping your intake of these products in moderation or better yet, opt for their healthier version (e.g. honey for sweetening food instead of the usual table sugar). Water is vital to life and to weight loss. Increasing your water intake keeps you hydrated and will keep you full, decreasing your chances for grabbing a bottle of soda or a bowl of chips. Studies have it that by drinking a glass of water before any meal could help you control your appetite and portions. What’s more, water has a role to play in your metabolism. So, if you want to be successful with weight loss, you better start increasing your water intake. Sleep isn’t just beneficial in your concentration or in your creativity; it also helps in weight loss. People who tend to sleep for less than 6 hours each day gain weight because lack of sleep often result to cravings of high carbohydrate and sugary food. This is the body’s way of keeping your energy up. Do you have more weight loss tips to share? Some people buy DSLR for wrong reasons so you have to be clear why you want an upgrade. I opted to shift my gear from a point and shoot to a DSLR because I wanted more flexibility, control over my photos, and I wanted to shoot better quality photos. When you shop around for a DSLR, you'll be confronted with technical terms. It'll be easier for you to make a choice if you have familiarize yourself with the basic DSLR terminologies. There are several makers of DSLR cameras. Save yourself from confusion by narrowing down your choices to 2-3 makers and list down their entry-level cameras. The best way to find out if the camera suits your needs is to try it out. So, visit a camera shop and try the top cameras in your list. Save time by asking for experts' opinion. This can be done through reading forums, reading product reviews, or asking family or friends who have years of experience in using DSLR cameras. I've used this strategy before and it really helped me in choosing the right camera. When I'm not on a shoot, I spend my time either in the kitchen or in my computer looking for some goodies for my cat. I found the following in Pinterest. What do you think of them? 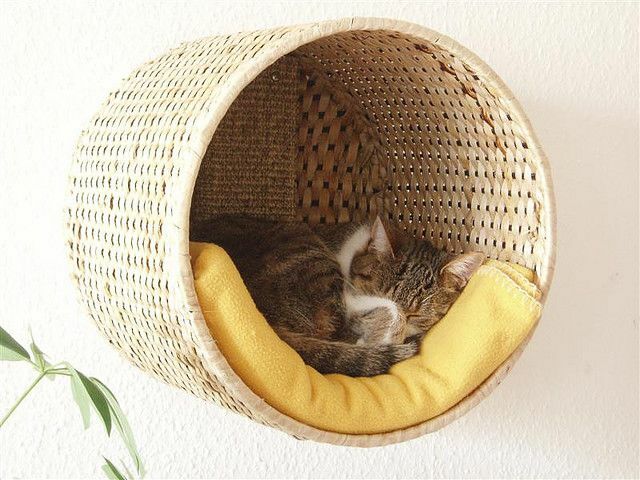 This is the ultimate pampering furniture for any cat (and they deserve it, right?). 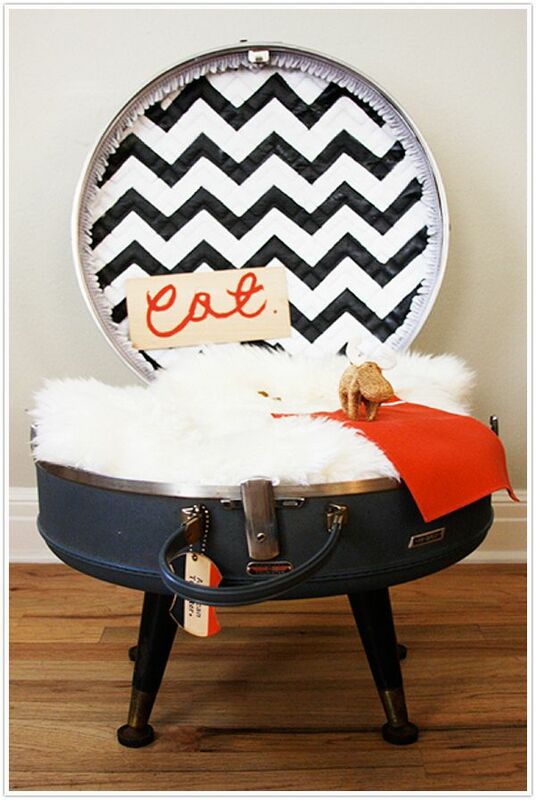 This will make a good addition to my cat's 'bed' collection. 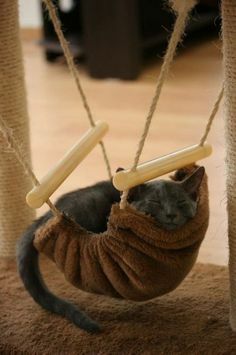 Have you found any interesting cat furniture these days? Feel free to share!